Buku bagus berbahasa Inggris yang merangkum peristiwa-peristiwa penting dunia sejak dimulainya peradaban. 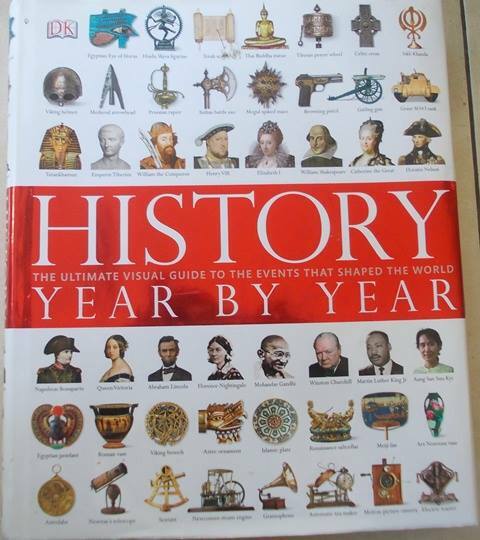 An innovative, visually stunning history of the world. Follow the events of the past, year by year, with an instantly accesible, multi-layered timeline. See history brought to life through dramatic images and colorful maps and graphics.